Pentagon: Operations Against IS in Eastern Syria 'Paused' - Integration Through Media ....! 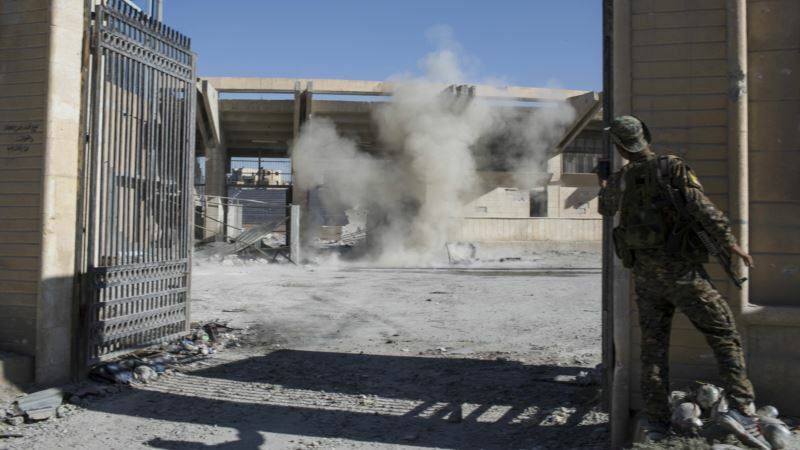 (VOA): U.S.-backed ground operations against Islamic State remnants in eastern Syria have been put on hold because Kurds who had spearheaded combat against the extremists have shifted to a separate fight with Turkish forces, U.S. officials said Monday. The public acknowledgement of what Col. Rob Manning, a Pentagon spokesman, called an "operational pause" is the most explicit sign yet that Turkey's intervention in the Kurdish-held enclave of Afrin is hindering the U.S. effort to finish off IS in Syria. For weeks, Defense Secretary Jim Mattis and other U.S. officials have called Turkey's operation a "distraction" from the anti-IS campaign. Mattis also has said the U.S. understands that Turkey has an active Kurdish insurgency inside its own borders and that it views Syrian Kurdish People's Protection Units, or YPG, to be a terrorist organization. The U.S. says the YPG is separate from the Kurdish fighters inside the U.S.-backed Syrian Democratic Forces, but Turkey disagrees. Turkey launched its air and ground offensive in the Afrin enclave on Jan. 20, conducting airstrikes and artillery strikes on a daily basis. It is just one dimension of a complex war in Syria that includes a range of local opposition fighters, extremist elements, Syrian government troops, proxy forces and military units from Russia and the United States. Manning said that although ground operations against IS in the Euphrates River Valley have been temporarily suspended, U.S. airstrikes against IS holdouts in that area are continuing. He said one airstrike Sunday near the city of Abu Kamal destroyed two IS supply routes. "The nature of our mission in Syria has not changed," Manning said. He said the Syrian Democratic Forces, which are comprised of Kurdish as well as Arab fighters, remain "our major partner" in completing the war against IS in Syria. Another Pentagon spokesman, Maj. Adrian Rankine-Galloway, said he could not offer an estimate of the number of Kurdish fighters who have left the Euphrates River Valley battlefield to join the fight against Turks in Afrin. "They're not fighting ISIS any more, and that basically meant that they're not taking territory back from ISIS as quickly as they had been in the past," Rankine-Galloway said, using an acronym for Islamic State. He added that the pause in offensive ground operations has not resulted in the loss of any territory retaken from IS.